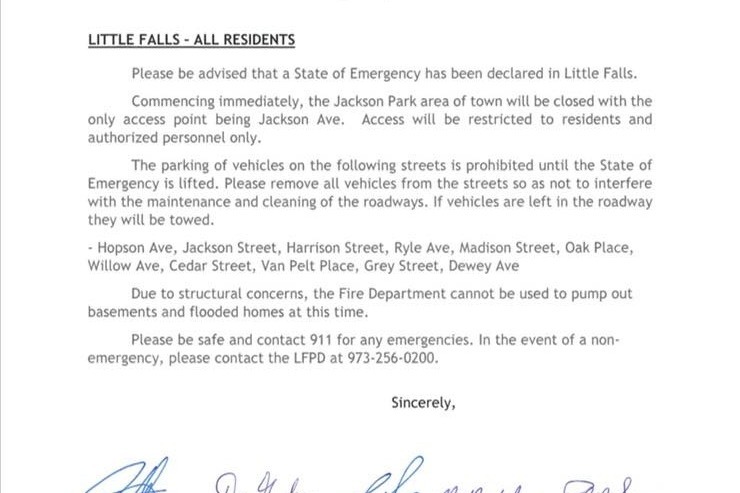 Little Falls New Jersey has many many residents displaced by the flash flooding that occurred this past weekend. Damage done to many homes which ranged from loss of personal belongings to houses deemed unsafe to occupy. Many in our community are suffering and the Little Falls Athletic Club would like to be able to help our members and many others in the community by collecting money to purchase gift cards to retailers such as Shop Rite, Home Depot, Target etc. to help get our neighbors affected back on their feet.